Need a baby shower gift for a friend or loved one? Why not give the expectant mother something she will never forget. Just imagine babies first pictures in her first tutu. 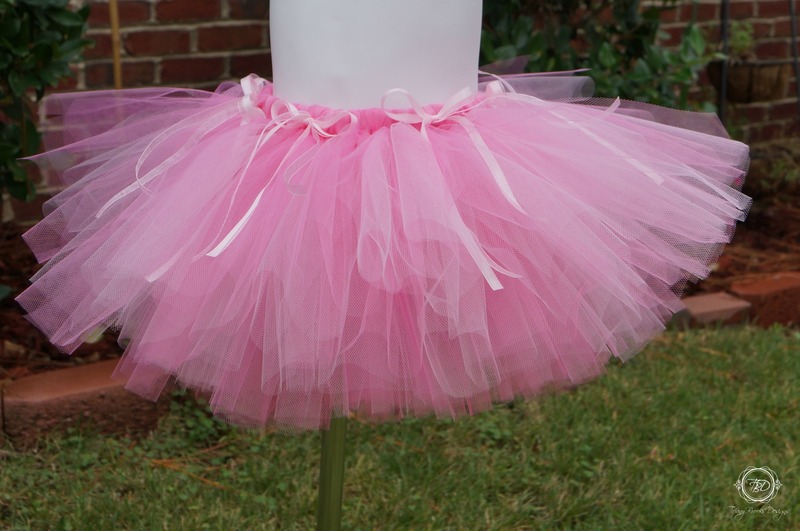 Baby’s first tutu is a great gift for any expecting mother. Available in any color or colors of your choice. 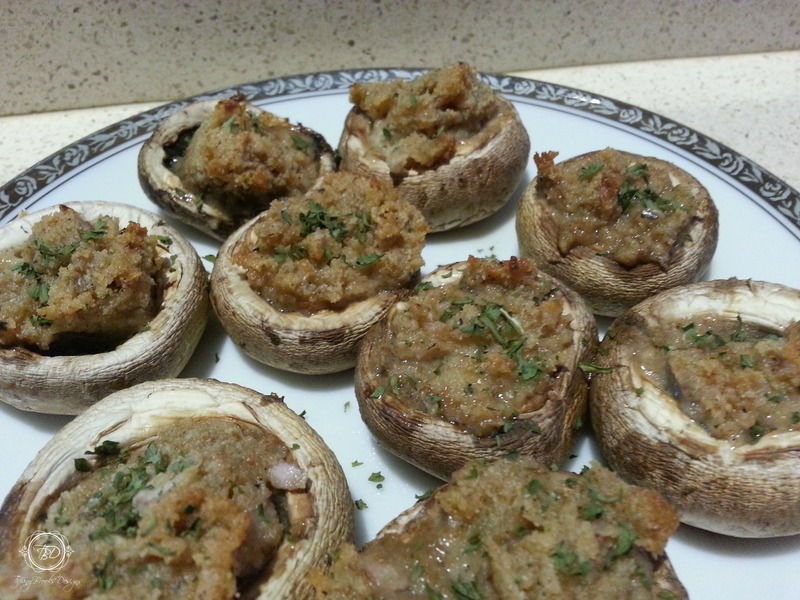 Through the years I have tried numerous stuffed mushroom recipes. After trying so many I have learned what I like the most in my stuffed mushrooms. Clean your mushrooms and remove the stems. Finely chop your shallot onion. 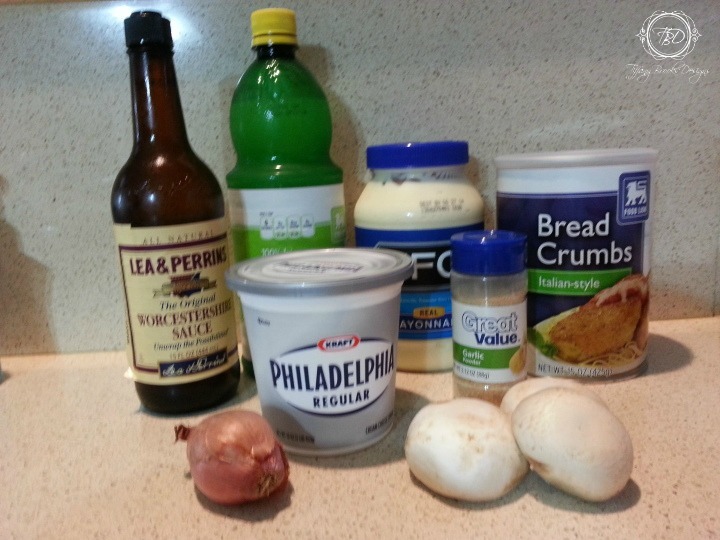 Add all ingredients in to a small bowl and mix together. Bake for 20 minutes, sprinkle with parsley and serve. 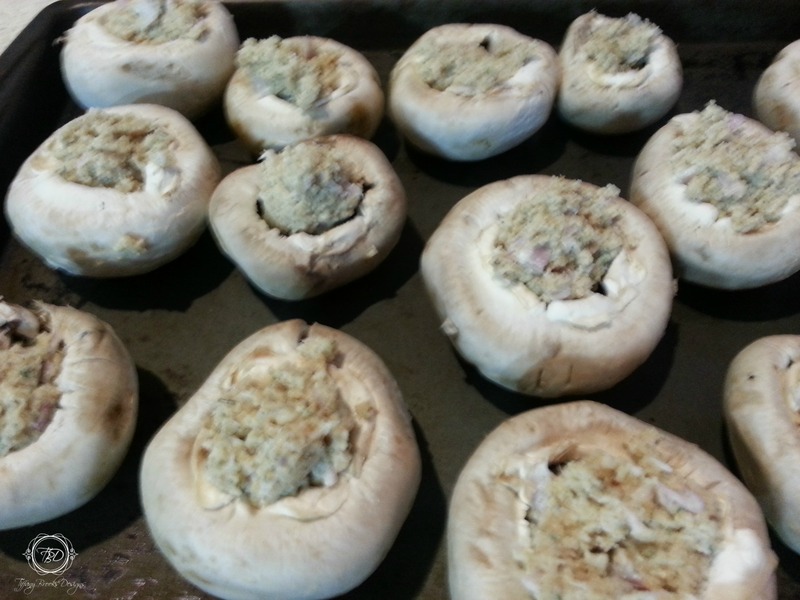 Add fresh crab for crab stuffed mushrooms. Add finely chopped peppers or garlic. Here is a wonderful recipe I found on Pinterest. I tried several and this was by far the best but I did not like the peppers in it. As you can see I changed the ingredients to my taste. My Songs of Joy…Family Food & Wine. 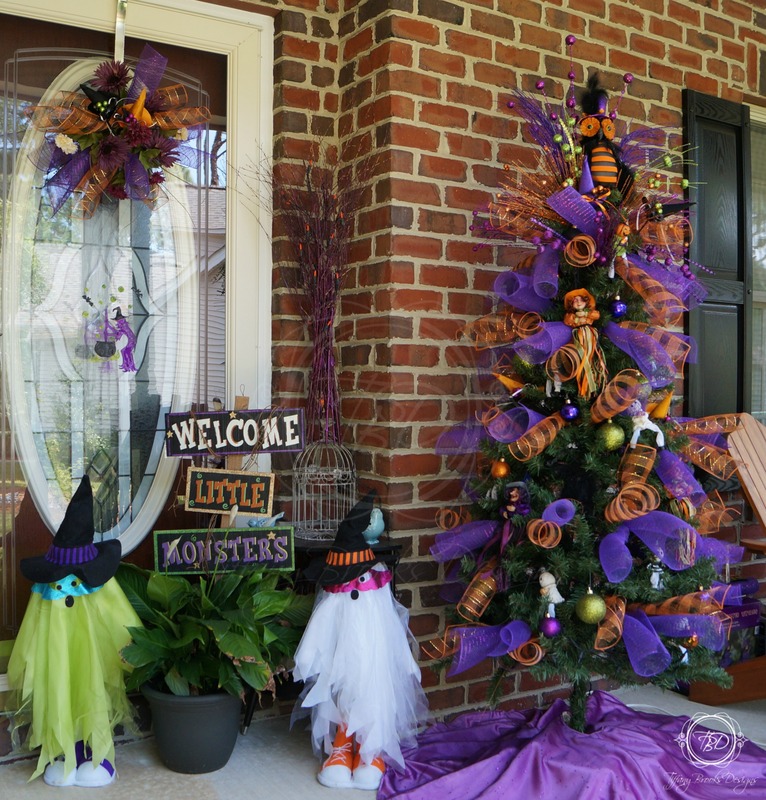 Normally I do not put up a tree for Halloween but this year as I was making my wreath and door hanger I started thinking of adding a matching tree to the front porch. 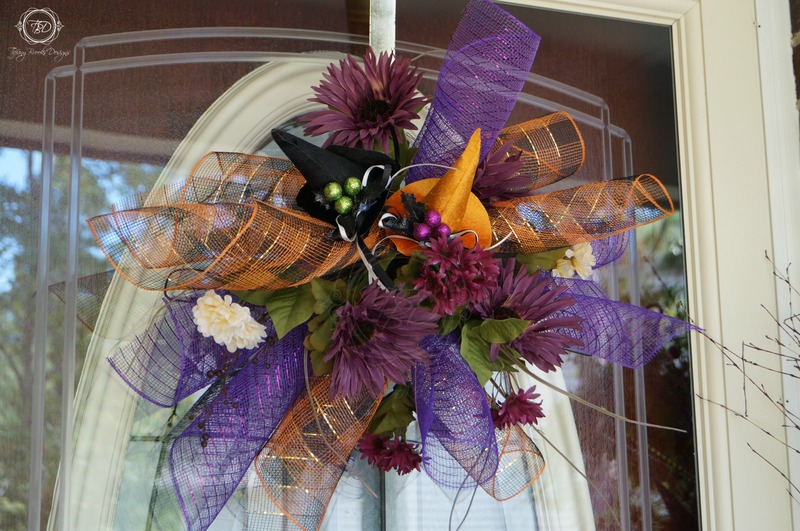 The colors I wanted in my door hanger and wreath/ witches broom were purple and orange. From there the wheels in my head began to spin with ideas for decorating a tree. Fist, add lights of your choice to the tree. 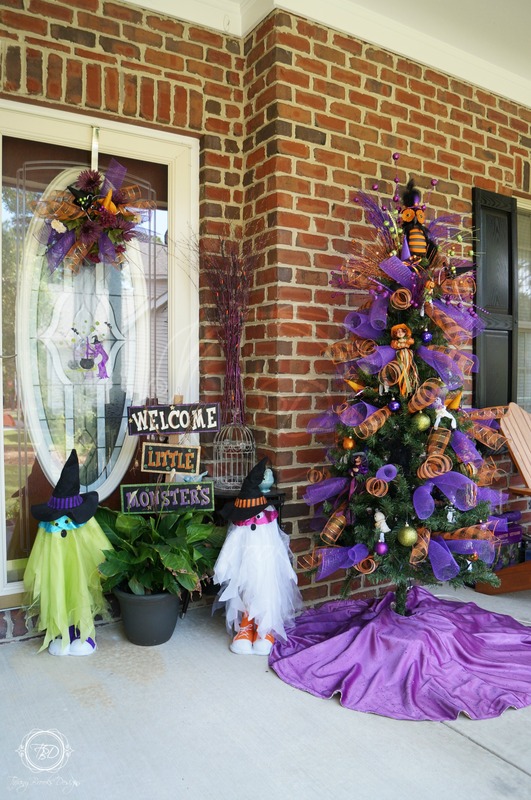 I prefer purple lights on my Halloween tree but have seen many different types of Halloween lights. I am sure the candy corn lights would look amazing on a tree. Second, attach the mesh curly-Q’s throughout the tree. 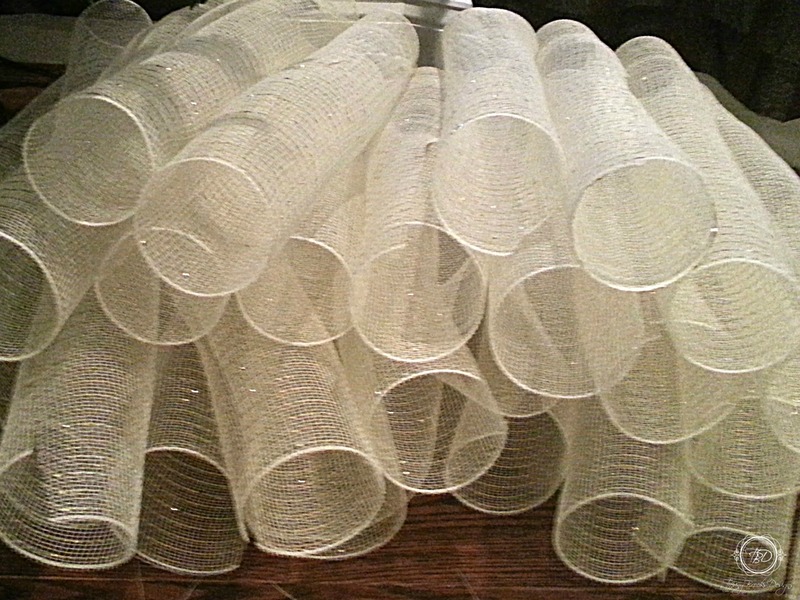 If you do not know how to roll mesh into curly-Q’s check out my How to Roll Mesh Blog. Finally, the fun part, decorating. The tree topper is one of my favorite things about any tree. 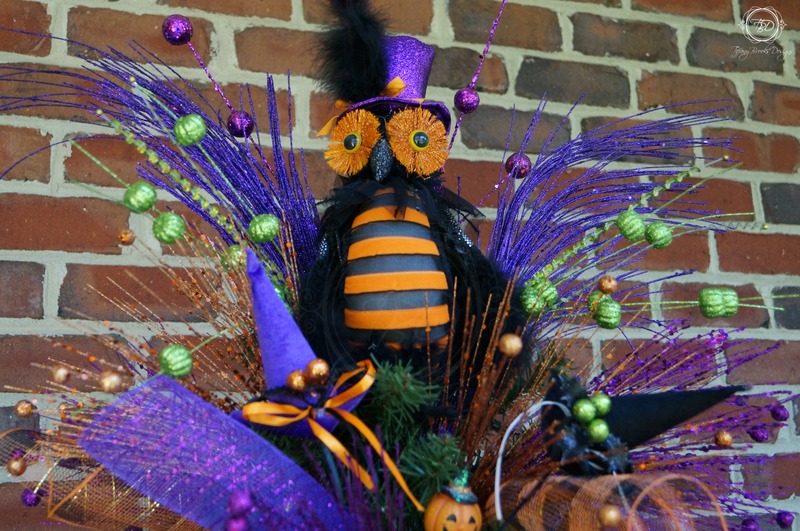 I originally was going to use a witch hat as the topper until I found this owl at Michael’s Craft Store. They add a little color around the owl and mesh I choose a few different colors and style of sprays. I had no idea what I was going to put on the tree except for the felt witch hats I had added to my door hanger and witches broom. One of the first places I always look for decorations is the Dollar Store. I usually do not find actual tree decorations there but instead I find knickknacks that I turn into tree decorations. I found the cutest shelf sitters: pumpkin, mummy, and skeleton at the Dollar Store. I used my floral wire and wrapped it around their necks to get them to sit on the tree limbs. 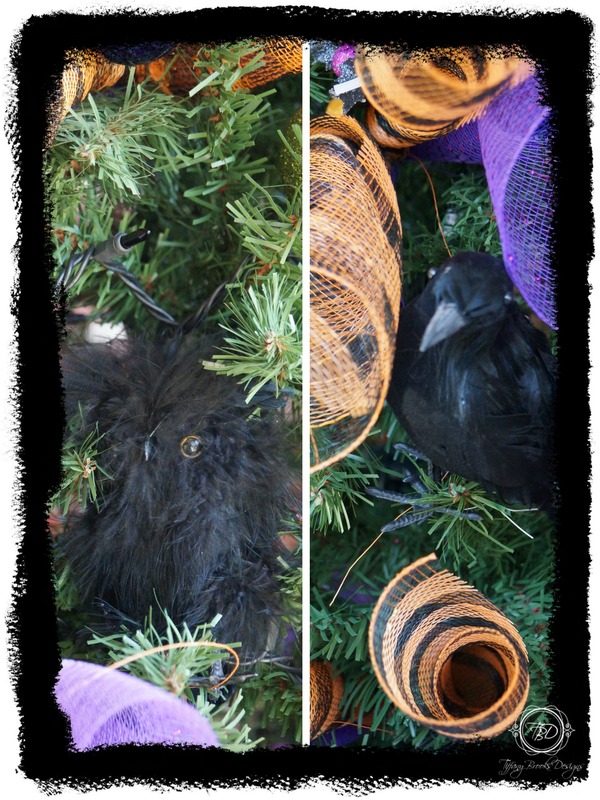 Another great find at the Dollar Store was the black birds and the fuzzy black owls. 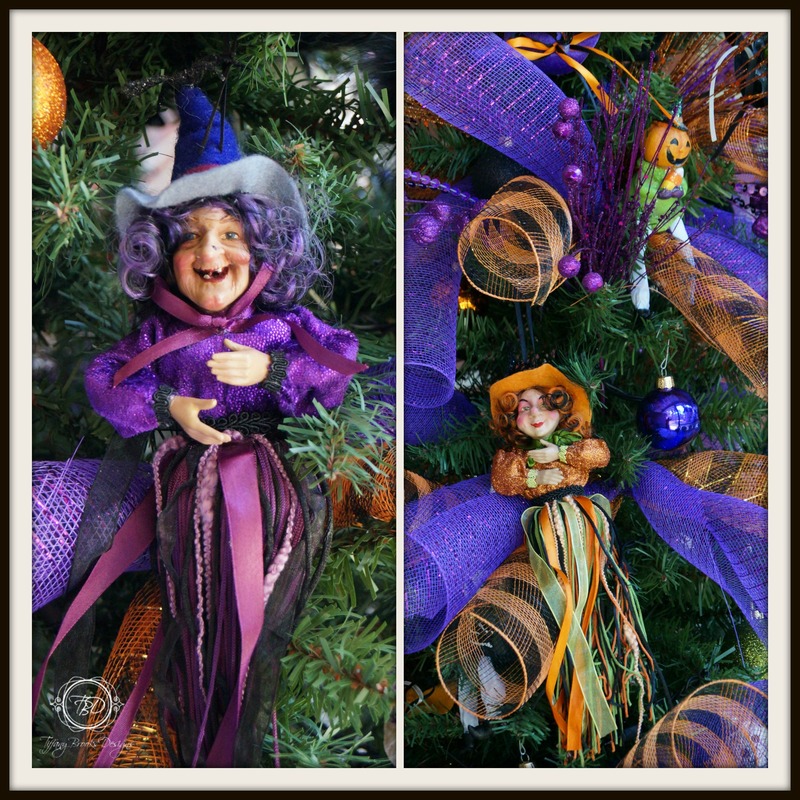 At Michael’s Craft store I found the most amazing witches to hang on my tree. 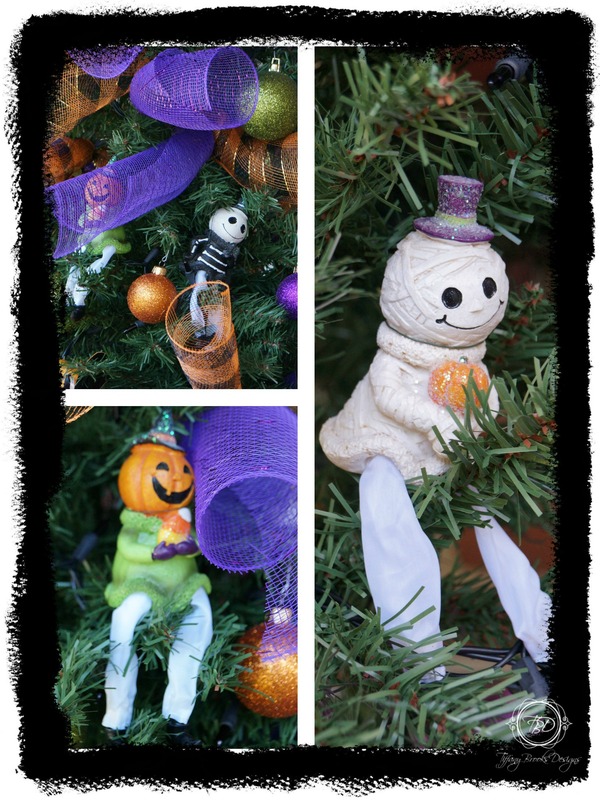 I have to say the witches are my favorite part of my Halloween tree. Once I finished decorating I realized I needed a tree skirt to complete my tree. So I made a reversible tree skirt that I would be able to use on other holiday trees I do throughout the year. Happy Halloween! 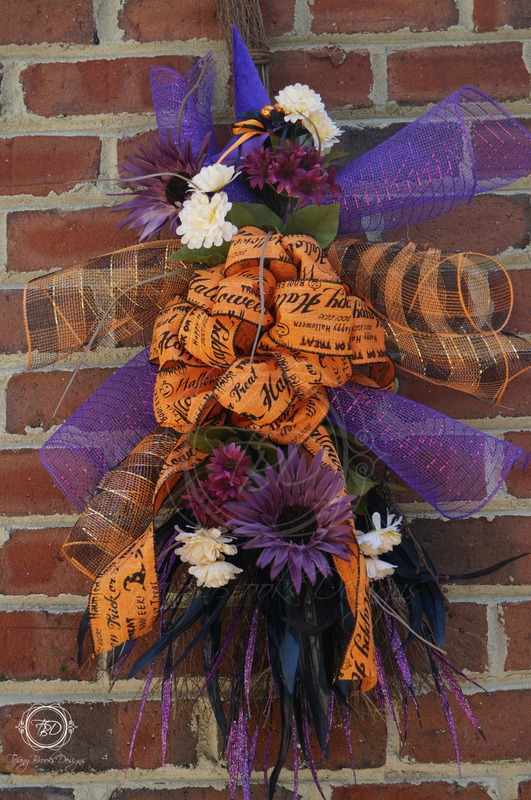 Be sure to check out my other holiday decorating ideas while your here. 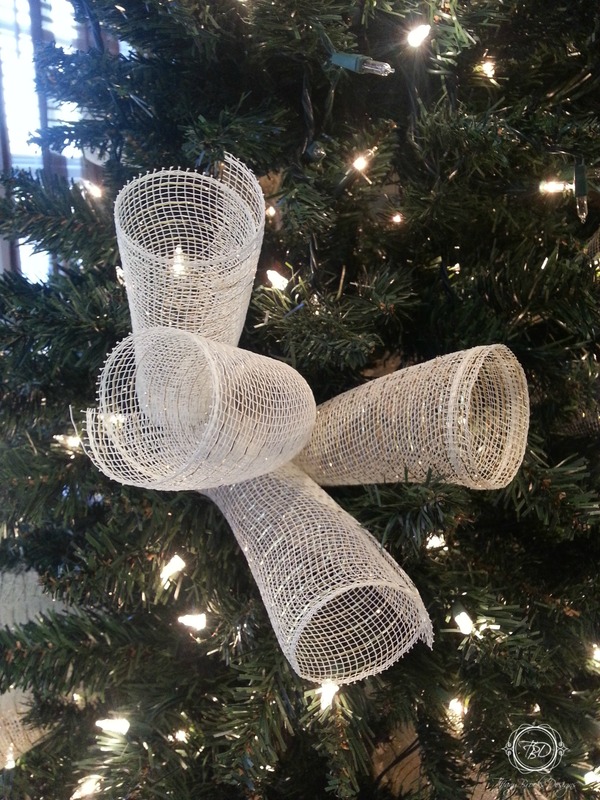 One of my favorite ways to decorate my holiday trees and wreaths is by rolling my mesh into curly-Q’s. I have used both pipe cleaner and floral wire and I like them both. Cost wise floral wire is cheaper and last longer. 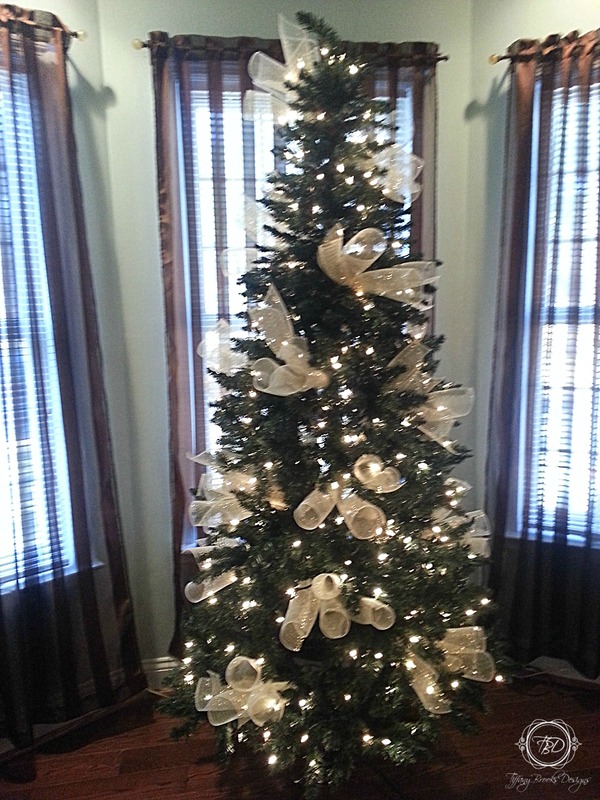 Be sure to add lights to your tree before adding curly-Q’s. 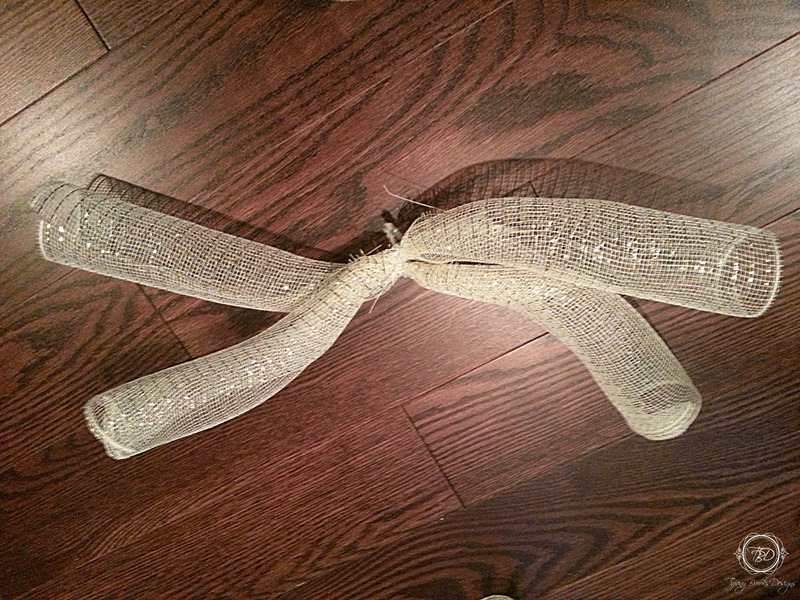 Start by unrolling your mesh on a flat surface. Unroll a small amount of mesh at a time as the mesh will want to roll back up. Sometimes I lay something heavy on top of the mesh to keep it from rolling while I cut. I cut my mesh in to 6″ strips. This is not something you have to measure out with every cut. Just eye ball it and cut away. Since you are rolling these after cutting precise measurements is not necessary. 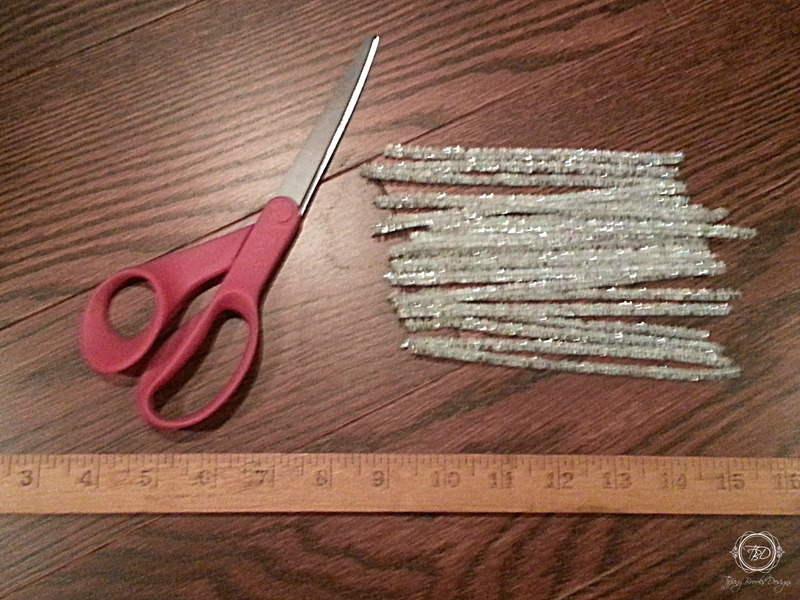 After cutting your desired amount of strips you will want to begin rolling each strip from the center (cut side) attach two curly-Q’s together with one piece of pipe cleaner or floral wire. Once you have made your desired amount of curly-Q’s, begin sticking them in your tree. 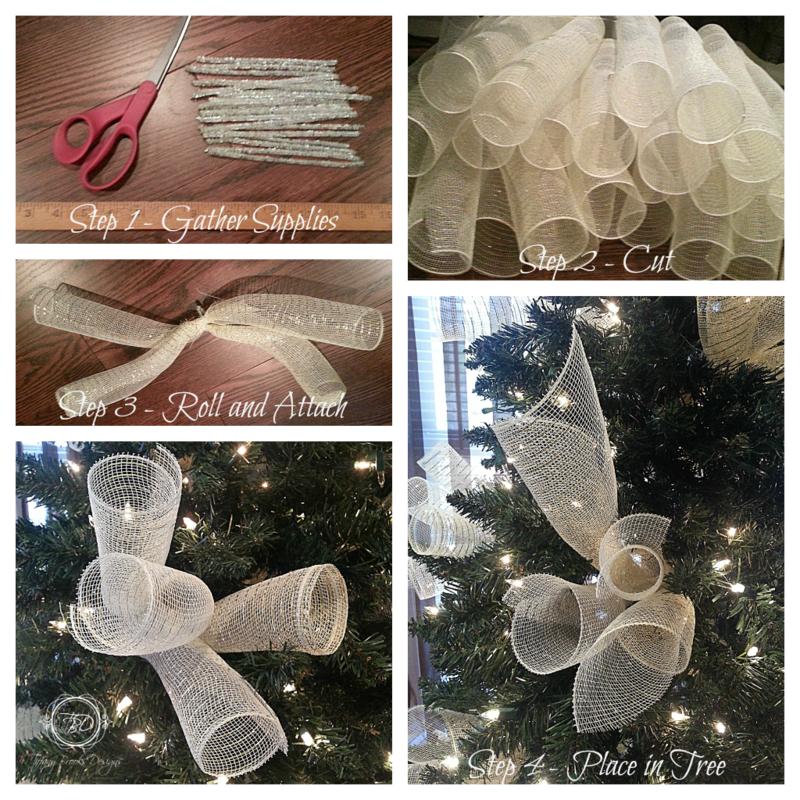 You can stick them in your tree or use the wire you wrapped around the two curly-Q’s to attach to the tree branches. If curly-Q’s are stuck into the tree far enough they will not fall out. 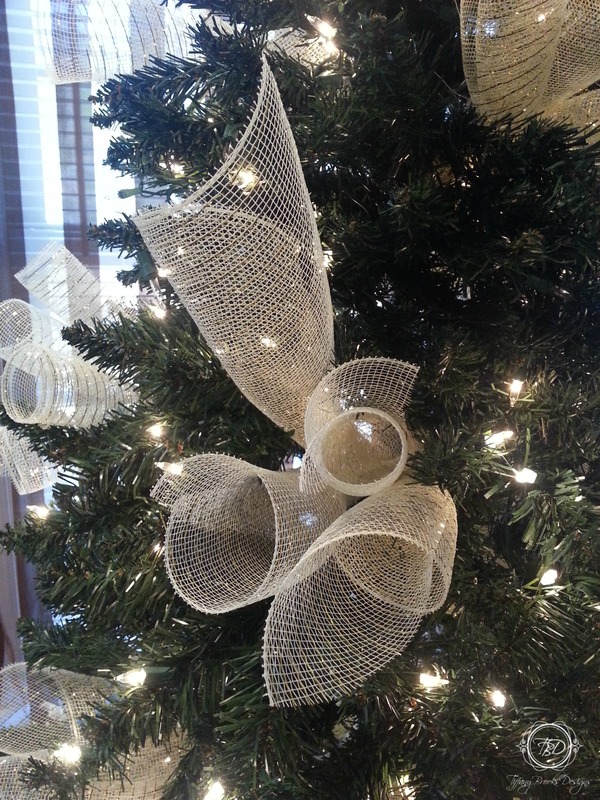 Once you have attached or placed all your curly-Q’s to your tree you are ready to decorate. 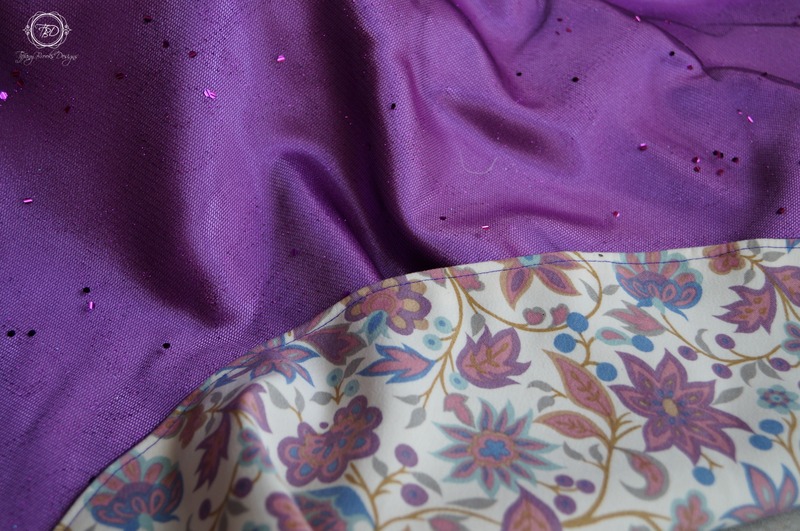 For the tree pictured I used both pointed and rounded curly-Q’s. If using your curly-Q’s on a wreath such as a grape vine wreath, you can us the wire to attach curly-Q’s to the wreath just as you would do on your tree.